The retro inspired Aluminum Cafe Side Chair is as cool as it is functional. With a clean, modern look and a hint of retro style, this side chair is a favorite. The Aluminum Cafe Side Chair can be used both indoors or outside. It works great at a table, as occasional seating, or combined with a modern desk for a unique look. 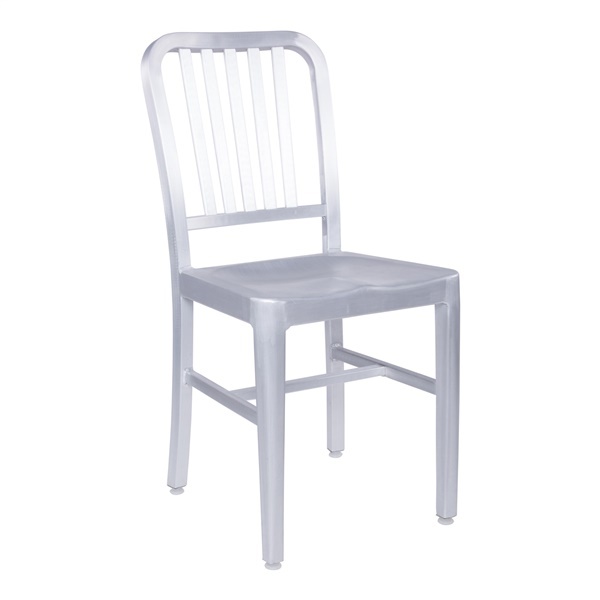 The Aluminum Cafe Side Chair features a seat and back made of lightweight aluminum with a brushed finish. This chair offers exceptional quality and is suitable for both home and commercial use.